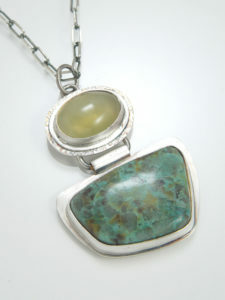 Visit us this month for a new show featuring Liz Ellingson’s original and unique hand-fabricated sterling silver jewelry. You can also meet the artist at the First Friday Art Walk on June 1. 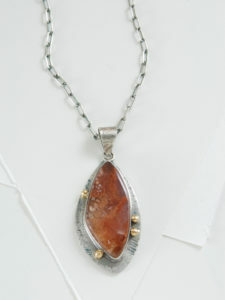 Liz’s designs are focused around her own custom-cut stones. 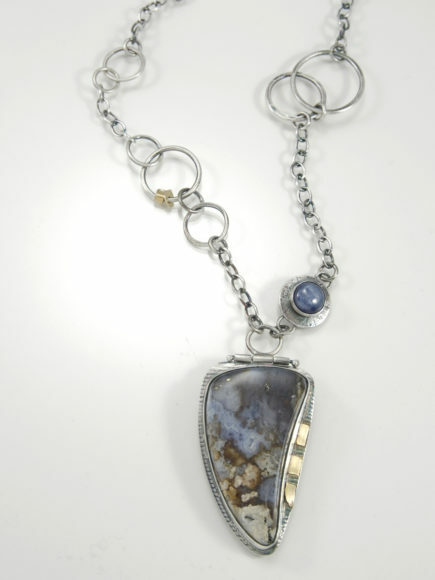 She takes interesting rough material and creates unique cabochons. She hand fabricates all of her jewelry in sterling silver using traditional silver-smithing techniques. 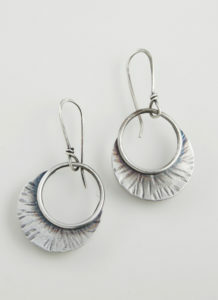 The jewelry Liz creates is one of a kind with an earthy, enduring quality.